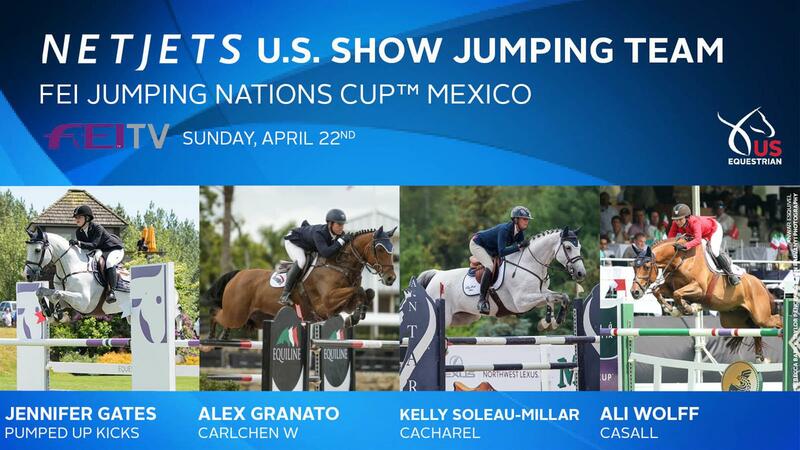 Lexington, Ky. – US Equestrian has announced that the following athlete-and-horse combinations have been named to the NetJets® U.S. Show Jumping Team for the FEI Jumping Nations Cup™ Mexico on Sunday, April 22. The competition is the second of three North and Central America and Caribbean division qualifying competitions for the Longines FEI Jumping Nations Cup Final in September. Support the NetJets U.S. Show Jumping Team by following USA Show Jumping on Facebook and US Equestrian on Instagram and Twitter. Use #USAJumping.